We travel to see the world, to experience new cultures and to eat great food. Of course we also want to share those adventures with our kids. Family travel is a fantastic way to teach kids about the world beyond their front door. But travel can be pricey. 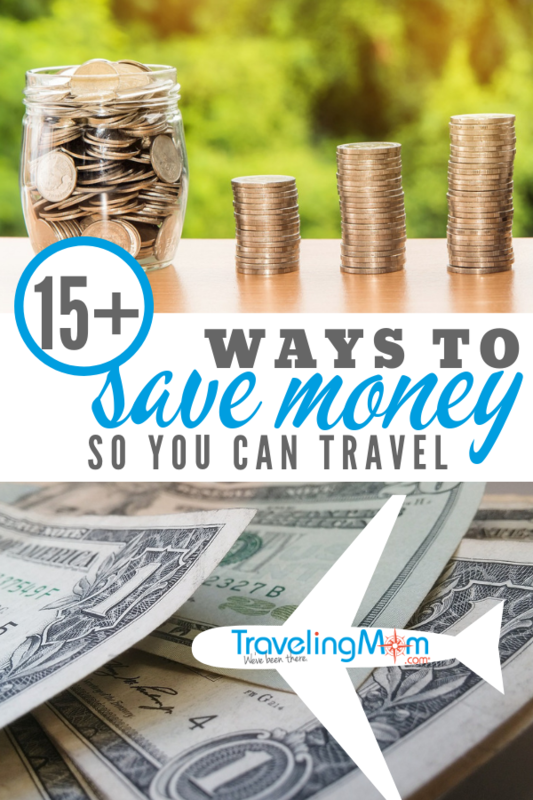 We share 15 easy ways to save money for a family vacation. Get the whole family involved! This post is sponsored by Allianz Global Assistance (AGA Service Company) and we have received financial compensation. All thoughts and opinions are my own. This is a service that I use and pay for for my family. This article may contain affiliate links which send a little bit of money to us if you make a purchase with no cost to you. You Google “how to save money,” “saving money,” “start saving,” “easy ways to save” and what do you find? Around every corner they tell you to give up Starbucks and set that money aside. But what if you don’t have a caffeine habit? Why does everyone assume you can instantly bank $5 of latte money a day? We round up some creative ways to hit your vacation money saving target. I was bitten by the travel bug during a corporate job that kept me on the road four nights a week. Of course it’s pretty simple to travel on the company dime. Need a plane ticket? Book it. Dinnertime? Plunk down the corporate credit card. Post-travel job? I wanted to continue seeing the world with my family in tow but we needed to find ways to save for travel since we don’t carry any credit card debt. I travel because I feel financially confident in our savings plan and the way we fund vacations. Personally, I travel because I want my kids to see first hand how similar we all are despite our differences. Track Your Spending to Find Ways to Save Money. It sounds obvious, but it’s easier to cut when you look at what you spend money on. Write down all of your expenditures for a week or two and look for patterns. Do you always eat out on Tuesdays because those are busy days? Next time, make a double batch meal another night to save on takeout costs. Are you surprised by how much money you spend on bottled water? Buy a refillable water bottle instead. Inspecting our personal finances can go beyond saving for a new vacation. Finances are a skill that many of us were never taught in school. A close look at spending patterns and identifying ways to save or cut down can change the entire course of your life. One Thing Not to Scrimp On: Travel Insurance. Your motivation for reading this article may be to save money overall or to save money for a specific bucket list trip. We all have our own reasons to travel and our destinations or priorities on what we spend on may be different. I’ll tell you one thing that is universal: Don’t scrimp on travel insurance. If you save money for a great vacation and then hit delays, cancellations, storms or other snags, your savings was for nothing if your trip isn’t protected by travel insurance. We can hope and pray that an airline or hotel will “do the right thing,” but they may not. Who wants to be sitting at an airport with a bunch of disappointed kids trying to duke it out with an overseas hotel that you now can’t get to. Buy travel insurance. Let them get your money back for you. Then you take that money and set it aside in a savings account for your next vacation. For the last two years we’ve purchased an Allianz annual family policy. It covers myself, my husband and our four kids. 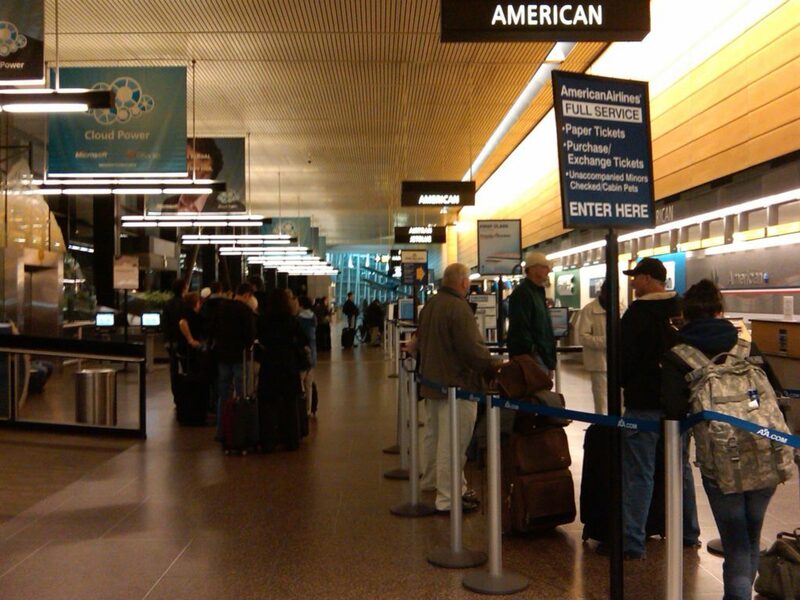 My 14 year old travels as an unaccompanied minor regularly and the policy gives me peace of mind. When my father-in-law was hospitalized with leukemia 2 weeks before my husband was supposed to fly to Iceland, we were able to get a full refund on the flights. 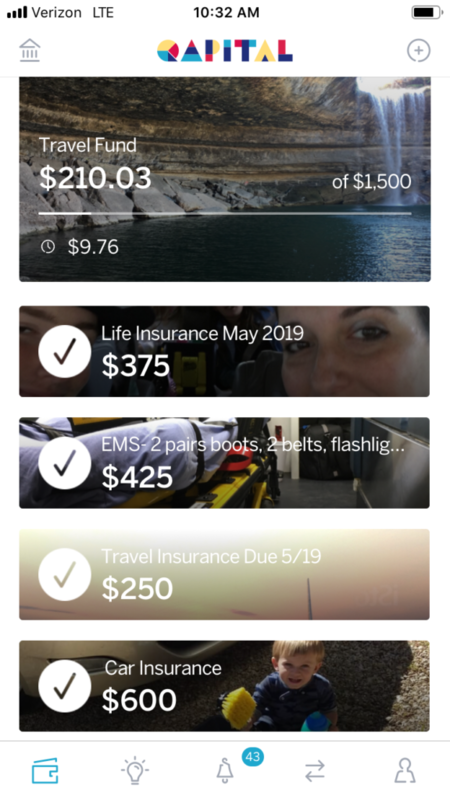 As someone with anxiety, travel insurance gives me room to breathe and roll with whatever life throws at us. Why am I mentioning travel insurance as one of my first tips? For most policies to cover your trip, they need to be in place before you book or within 7 days of payment. Keep this at the top of mind when you save and plan to buy travel insurance first. Read More: Is Travel Insurance Worth It? Learn More: What Does Travel Insurance Cover? 8 Surprising Things It Includes! Earn Money Doing Everyday Shopping. Do you shop on Amazon? Order pants from Old Navy? There are numerous tools that offer the opportunity to get cash back on your everyday shopping. 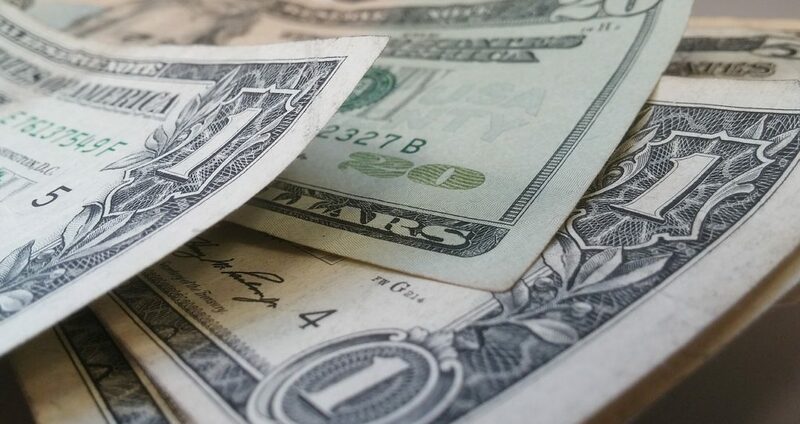 Getting 1% cash back may not seem like a lot of money, but it adds up. I’m a light online shopper and just transferred $80 into our vacation fund from Ibotta and have an Ebates Big Fat Check for $32 headed my way. Every time I walk into Sam’s Club for coffee or pump gas there I earn money back from Dosh. We just banked $70 from there. None of my habits changed but I’ve saved $182 for that dream Prince Edward Island trip. * Ibotta- This app allows you to earn cash back by buying specific items at the grocery store and taking a picture of your receipt. You can also earn cash back shopping at specific retailers through this app. It’s an easy one to add in to your everyday life especially if you buy brand name food items. You can withdraw cash once you hit $20. * Dosh– You will need to connect a credit or debit card to this app to utilize it. There are no receipts to scan. It tells you what offers are available and when you pay for items at the store or service with a connected card it will automatically add the cash back to your account. You have to hit $25 to withdraw cash. * Ebates– Ebates is a shopping portal. If you originate an online purchase from the site, you will a percentage of cash back. Ebates issues checks quarterly. You’ll receive an email first asking whether you’ would like a gift card. If you choose a gift card, you can receive an extra 5-12%. * Checkout51– This is an easy to way to get cash back for name brand items on your grocery bill. One thing to know is that offers are sometimes limited ,so if you see a good one redeem it quickly or it might disappear. They frequently overlap with sales and other coupons. Checkout51 lets you request a check once you hit an account balance of $20. If you are looking to get a discount on a Sam’s Club membership, you’ll almost always find an offer for that. TravelingMom Tip: Make a list of items you may need to purchase in the next few months. Sign up for Ebates emails and watch for Double Cash Back days. Purchase the items during these days to take advantage of maximum cash back. Round Up Your Regular Purchases. Use a round up tool to take advantage of easy opportunities to hit savings goals when you shop. Some banks offer a round up tool. Personally I use Qapital. It’s an app on my phone that I connect to my bank accounts, credit card and Paypal. Anytime I spend money, I have it set to round up the amount up to $3 and deposit the extra cash into an account for one of my financial goals. There are all sorts of “rules” you can use, such as depositing a set amount of money each week, or penalizing you $5 when you skip the gym. It is one of my favorite simple ways to save. We have separate sinking fund goals set up for expenses we have on a biannual or annual basis. For example, we have an emergency fund, a travel insurance fund, a life insurance fund, and a fund for miscellaneous expenses related to my husband’s job as a paramedic. Tighten Up Your Grocery Budget. Yes. Everyone says this one. Look at your grocery budget. While it may not be the “lowest hanging fruit” for everyone, most folks could knock $20 or so off their grocery shopping trips. 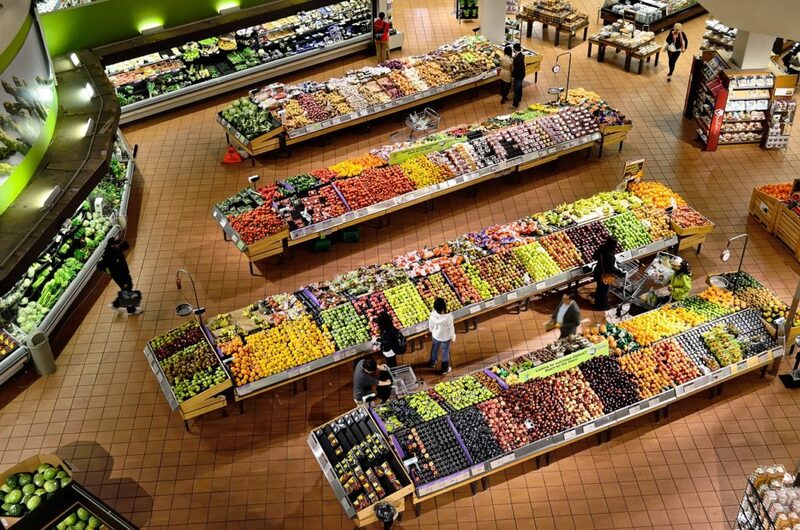 There are several ways to cut your grocery budget. Meal planning. Having a weekly or monthly meal plan will help you to overlap ingredients and cut down on food waste. Low-cost meals. Examining the cost per meal can help you to slim up your grocery store spending. Lower cost meals that include pasta, quinoa, or rice with less protein can free up extra money to go to vacation savings. Suddenly, that $10 pack of chicken is making 4 meals instead of 2. Buy in bulk. Single use items like school snacks for kids cost more when packaged individually. We purchase these reusable pouches and use them for applesauce and yogurt in lunches. Go generic. Taste test some store brands vs. name brands and see if there are lower cost options you can work into your pantry. Make your own. You would be surprised at how easy it is to make some basics like bread and yogurt. For us the cost savings on these two items we burn through was mind boggling. I can make bread for 53 cents a loaf and yogurt at less than $2 for 5 quarts. Going right along with cutting your grocery bill is the idea of brown bagging it. Money spent eating out can add up, even beverages. Grab a reusable water bottle and think about eating leftovers if you can. The money savings can really add up. Give Purchases a Waiting Period. Cut unnecessary spending by imposing a waiting period on any purchases. You may feel like you need a new jacket or pair of sneakers but after waiting 7 days or 14 days you may find they are no longer necessary. Teaching kids how to delay spending gratification is a great way to make sure that they start off their financial life on the right foot. Most kids today can navigate the internet better than their parents. Assign them the task of looking for the cheapest price online. Have them watch Ebates for the highest cash back offers. Make Your Bank Work for You. Look into an online bank. Online banks tend to have lower overall expenses enabling them to offer higher interest rates and high-interest savings accounts. To level up on this? Find a bank that offers Individual Retirement Accounts (IRA). Starting retirement accounts early in life can set you up for a life of travel once you retire. If you are even remotely internet savvy look into it! Shop for Lower Rates on Home Insurance, Life Insurance and Car Insurance. Many of us have regular bills that we pay. With insurance on multiple items in our lives we want to make sure we both cover everything but don’t overpay. Shopping around for better rates on car insurance, life insurance and home or renter’s insurance is a great way to free up extra money to go to vacation savings. We had what I considered to be fairly low car insurance payments but after using a comparison tool we lowered our annual bill by more than $1000! None of our deductibles or coverages changed at all. Allit took was two hours on our cell phones to find a cheaper company. We used Qapital to set up automatic transfers of the money we saved into a special vacation savings checking account. TravelingMom Tip: Don’t want another monthly payment? Look at paying annually. Many companies offer a significant savings if you pay your bill one time instead of splitting it into installments. Sell Things You Don’t Use. Double duty here. Simplify your life and make money selling items you don’t use, that don’t fit, or that you’re done with on Poshmark, Facebook Marketplace, etc. Put the money straight into vacation savings. This is a great one to involve the kids. Let them pick out some items they are willing to give up in favor of a vacation. Remember to follow safety rules if you are meeting someone in real life. Many police stations offer safe meeting spots for online transactions. If that isn’t an option, meet in a well-lit, trafficked store lot. Have kids help save. After all, when they are involved with saving for a vacation it gives them a sense of ownership. Short-term, it helps them understand how much things cost. Long-term? It gives them the financial skills to understand how to work toward a goal. 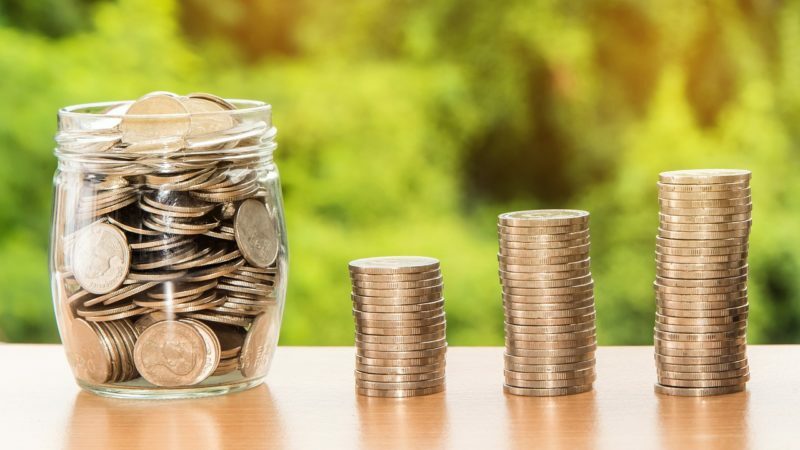 Older kids can put away a set amount per week from jobs, mid-age-range kids can put coins into a jar with a picture of your vacation destination on it. Younger kids can make choices: This candy bar now or saving for a beach trip. If they get paid an allowance, add an extra chore where the money goes straight to their vacation spending fun money. 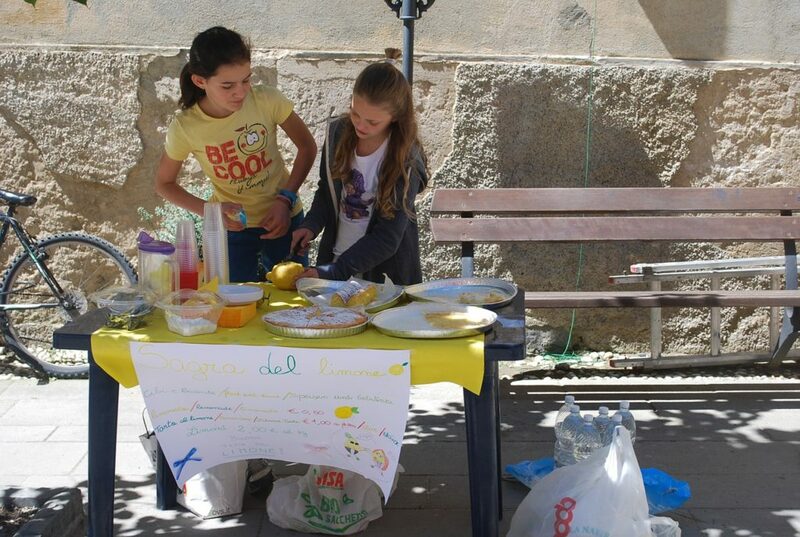 Let them run a lemonade stand or make bracelets to sell. The more the kids are a part of the process, the more it will feel like a team effort. Cut the Cable (or Trim It Down). If you have cable you may feel like your cable bill is unreasonable. Many times we’re drawn in with special offers that end over time, leaving you with an inflated bill. Look over your bill carefully and see what you’re actually paying for. Eliminate channels or downgrade your plan if you aren’t using it. Some families choose to cut cable entirely and use internet-based servcies such as Amazon Prime, Netflix, Hulu or Roku for their viewing needs. Don’t Buy, Borrow or Trade. Get in the habit of borrowing items and using local resources instead of buying things. My kids burn through books like they’re going out of style. I want to encourage their love of reading but buying new books constantly is a hit on my wallet. We go to our local library to borrow books, they trade with friends and we resell to our local book store to earn credit towards more books. Local libraries often offer discounted passes to local museums as well. Want to save money near you? Check out our Free Things To Do in the 50 States section! The same goes for tools you might need to get a job done. Don’t own a drill? Did you know there are tool lending libraries? Also, if you don’t have a new car and your ride needs some work, you can often borrow loaner tools from auto shops! There are kits available for chassis, exhaust, heating and cooling and more. Do something for the environment and your wallet at the same time. Investing in small changes around your home like a programmable thermostat or energy friendly light bulbs can pay off. These are great projects to involve your kids in. They can count light bulbs, look for deals on Ebates (Jet.com is a great place to start), and help program your new thermostat from your smart phone. 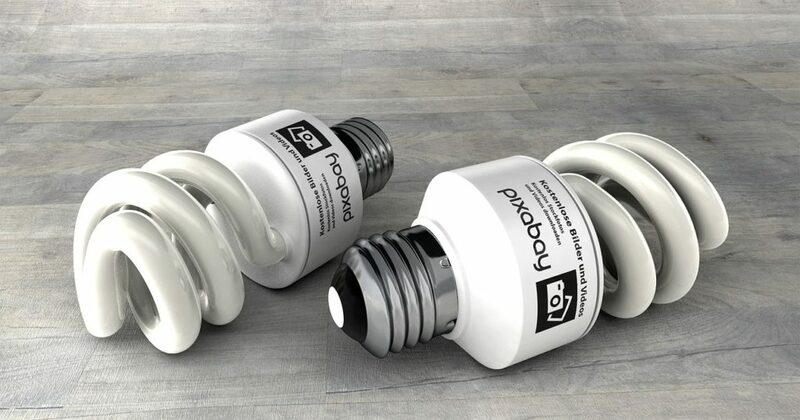 For many homes 5% of your energy costs can be lights, so change those bulbs and shut them off when not in use. Did you know 6.3% of Americans spend money on a gym membership that they don’t use? To this end, if you aren’t hitting the gym, look into cancelling. It can be tricky with some contracts specifying life conditions you have to meet to back out, but persistence is key here. Keep asking and soon you’ll be free of that monthly payment. Still need to work out? Look at cheaper options, online classes, or find an accountability buddy to take walks with. There are many more ways to save money like taking public transportation rather than driving, buying a used car instead of a new car, consolidating student loans and living below your means. What are your money saving tips? How do you save for a vacation? Drop your ideas below! We’d love to see them. What Does Travel Insurance Cover? 8 Surprising Things It Includes!